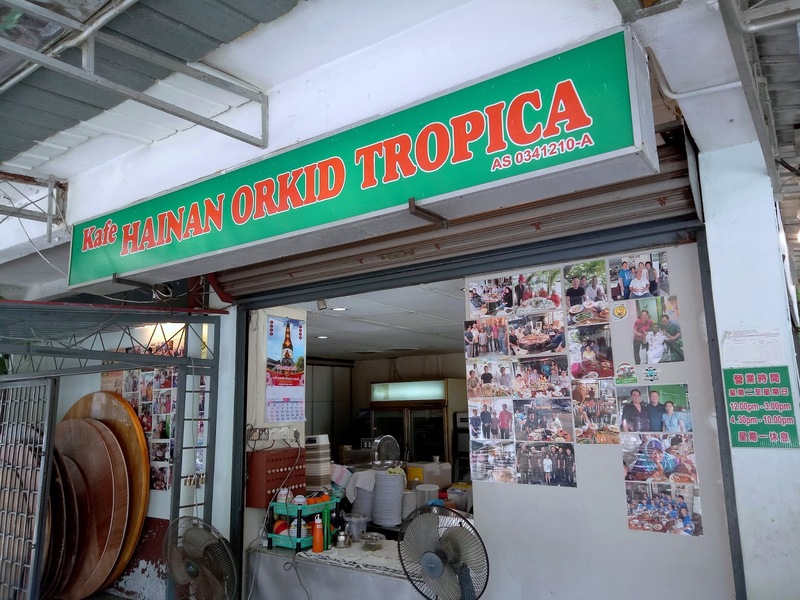 Kafe Hainan Orkid Tropica (驰名咖哩鱼头) is a restaurant in Taman Setia Jaya, near the Alor Setar (Utara) exit of North-South Expressway. The shop occupies the ground floor of a block of flats. Thanks to excellent ventilation, this open-air eatery is quite comfortable even during the heat of the day. The signature dish of Hainan Orkid Tropica is Kari Kepala Ikan (咖哩鱼头). The restaurant uses wild caught fishes such as grouper. Actually, the restaurant uses the front half of the fish, not just the head. 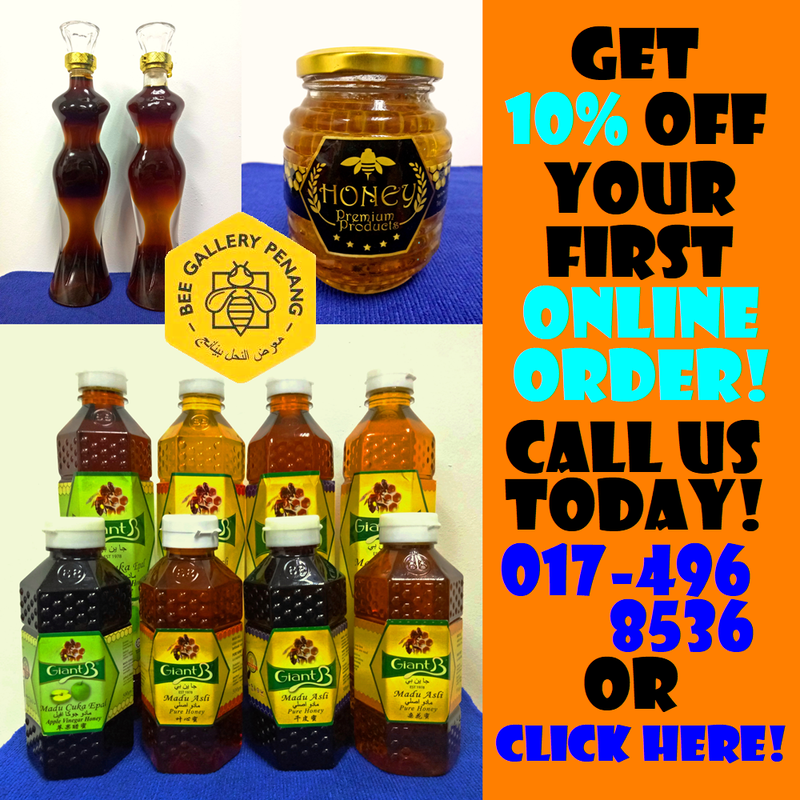 Although walk-ins are allowed, pre-ordering is highly recommended. Kari Kepala Ikan (咖哩鱼头) is served in a large pan. 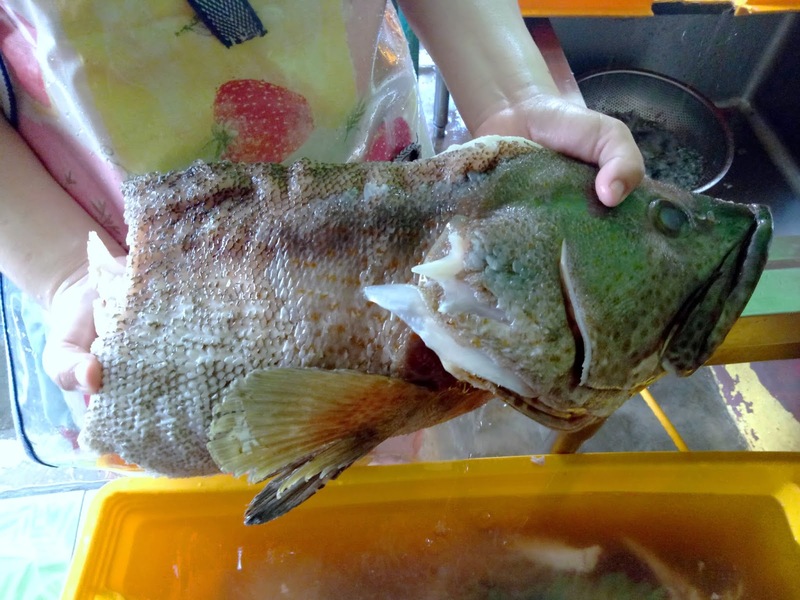 Our fish head has a gross weight of 3.8 kilograms (3.5 kilograms after removing the gills). Despite the reddish color, the curry is not too spicy. In fact, it is rich in dairy milk and coconut milk. The fish head is cooked with eggplants (brinjals) and okra (lady's fingers). Chopped shallots and scallions serve as garnishes. One of our side dishes is Sotong Goreng Tepung (咸蛋炸苏东). 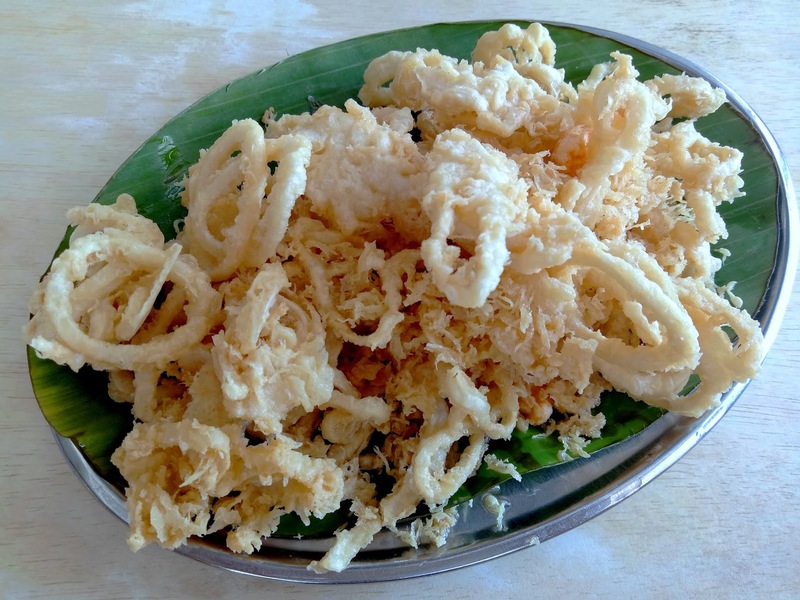 The squid rings are coated with light batter, making them extremely easy on the mouth. I feel that salted eggs are not spread evenly; it would be nicer if they were thoroughly mixed with batter. 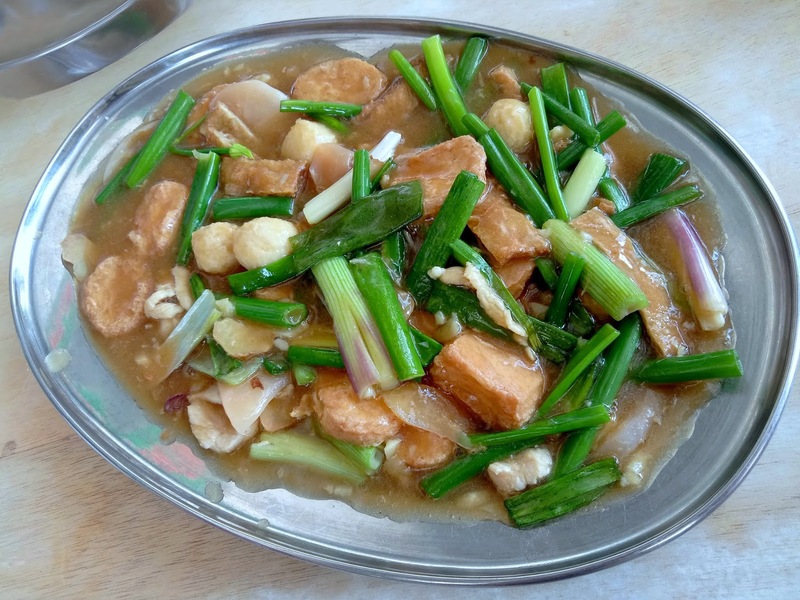 Another recommended side dish is Tauhu Tumis (红烧豆腐). In this dish, egg tofu is braised with scallions, eggs and savory gravy. I think the amount of scallions used is excessive. I prefer tofu to take a more prominent role. Moving on, I enjoy the crunchy mouthfeel of Taugeh (豆芽) as it does a great job in cleansing the palate after a heavy meal. 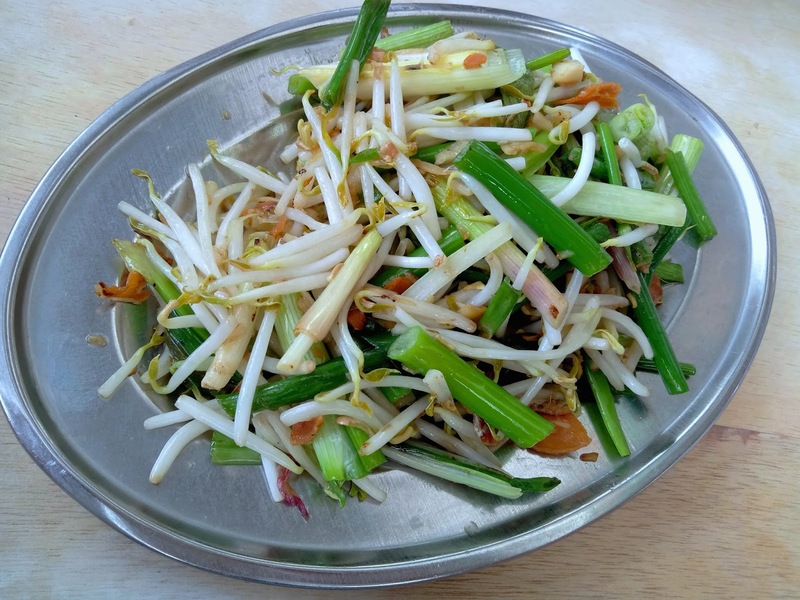 The bean sprouts are cooked with scallions and salted fish. 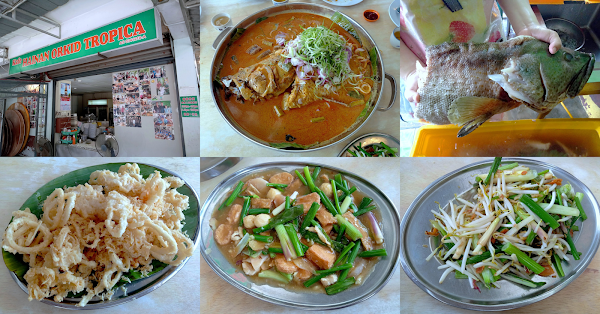 Our meal for 10 people totals to RM290.80 including rice and drinks. Overall, the food is gratifying to my palate. 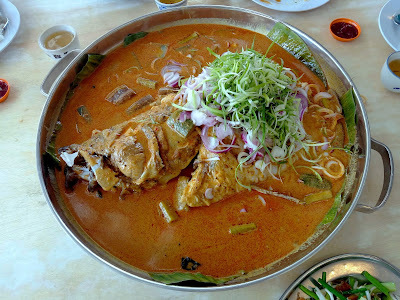 In particular, I find the Kari Kepala Ikan scrumptious to the last morsel. 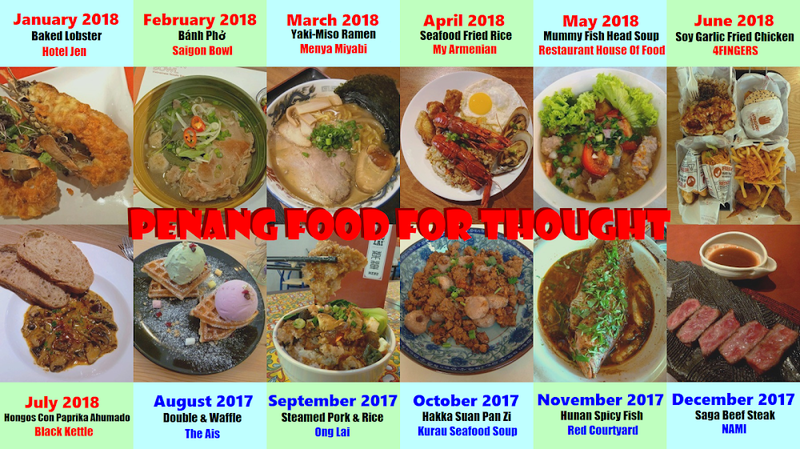 If you ever come to this part of Alor Setar, you should really visit this fine eatery.